In 1988, the BRAC decided to close Pease AFB during the first round of closures. Pease was home of the 509th BW which flew the FB-111. With the new B-1 coming onto the scene, the committee decided this airbase was no longer needed. They were able to keep the 132 ARS, which was a KC-135E ANG wing at Pease. Then in 1991 the BRAC came through again closing Loring AFB, home of 42nd BW B-52 wing, which was deactivated. The town had a population loss of approximately 22,000 people and nearly 9900 jobs. The town surrounding Loring never survived unlike Portsmouth NH. Now we fast-forward to 2005 when BRAC comes around for its next closure list and New England gets hit hard again. The Brunswick NAS in Brunswick Me will be shut down completely, relocating all the planes and personnel to NAS Jacksonville FL. NAS Brunswick is home to 5 active duty and 2 reserve squadrons that belong to the Command Patrol and Reconnaissance Wing Five. The wings fly the Lockheed P-3 Orion and also have a C-130T Reserve Fleet Logistics Support Squadron. NAS Brunswick is Maine's second largest employer with 4,863 military and civilian personnel and is the last Active Duty military installation in New England. Currently scheduled overseas deployments are for Dec of 2008, late spring of 2009 and Dec of 2009. Squadrons will return to NAS Jacksonville as long as the construction is completed. NAS Brunswick will stay an operational base until the last airframe departs; BRAC has set Sept 2011 as the "get out of Dodge date". The other unit in Maine is the 101st ARW/ 132nd ARS (known as the "Mainiacs"), which is flying the KC-135E model. With the BRAC recommendation of closing the Niagara Falls ARS, their KC-135R's will be delivered to Bangor International for the 101st ARW and their aging E models will be flown to AMARC at Davis-Monthan AFB, AZ. The transitions to R models should start taking place in March of 2007. In New Hampshire there is the 157th ARW/132nd ARS (The Wildcats), which flies the KC-135R, they currently have 9 aircraft but will be losing one of those. The 157th and 101st ARW are two major units in the Tanker Task Force that helps the North East keep the aircraft flying to and from overseas. The 158th FW/134th FS at Burlington Vermont operates the F-16 Falcon; they will receive 3 aircraft from the 177th FW currently based at Atlantic City NJ which is transitioning to the F-15C Eagle. In Massachusetts, the 102nd FW/101st FS based at Otis ANGB on Cape Cod will send its F-15C's to Barnes ANGB in Westfield. The 102nd FW has been a part of Massachusetts since 1921 and will disband after the transfer. 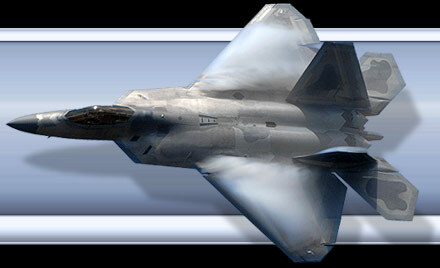 They will end up sending their F-15s to the 104th FW at Barnes, which will transfer to the Eagles. The USCG station, Army National Guard, the 253d Combat Communications Group, and 267th Communications Squadron will remain in place at Otis, with 104th Fighter Wing at Barnes providing administrative support as the parent wing. The 104th FW/131st FS (known as the Death Vipers) will send its A-10s to Ft Smith AR; the transition will start in the spring of 2007. Alert hangers still need to be built for the fighters and modifications to the hangers for the larger aircraft will need to be done. Along with the aircraft, the firefighter positions will move from Otis to Barnes. Westover Joint Air Reserve Base is home of the 438th AW, they fly the C-5A Galaxy out of Chicopee Ma and is the largest Air Force Reserve Base in the United States. The 438th AW wasn't affected, but the base will be the new home of the 5th JTF, 654th ASG, and the 382nd MP Battalion due to the Army units being consolidated. 103rd FW/118th FS (known as the Flying Yankees) based at Bradley International in Windsor Locks CT will be transferring its A-10 to Ft Smith AK. In return, they will transfer over to the C-21. They are scheduled to receive their first aircraft some time in December according to PAO Maj. George Worrall. The TF-34 engine maintenance facility will be relocated to Bradley. 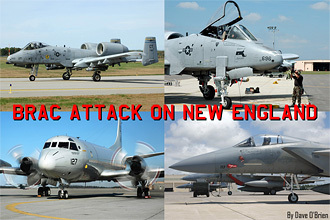 The final unit in New England is the 143rd AW of the Rhode Island ANG. They are based at Quonset State airport in North Kingstown RI. The 143rd operates the C-130E and was the first unit in the Air Force to receive the C-130J-30, this is the "stretched" model of the newest C-130 Hercules. BRAC has recommended that with the 175th AW realigning at Martin State AGS in MD, the 143rd would receive up to 4 of their -30J models and retired two of the RI's current E models but for the time being has been put on hold. It's hard to know what will happen with the empty bases of NAS Brunswick and the 102nd FW ramp at Otis. While the former Pease AFB has turned around to become the "poster child" for a base to become a very successful business area, Loring AFB in Maine and Plattsburgh AFB in NY are two bases that never recovered once the military moved out.